Captain Drew Mitchell (USAF) is flying on a routine training mission, with 3 other F-22 Raptor fighters over Montana, in September of 2016. But suddenly he finds himself completely alone in the sky; unable to raise his fellow pilots. And now he also realizes that his onboard electronics are going haywire. He must land immediately! But when he does he receives the shock of his life: he has touched down on a Royal Flying Corps airfield – in September, 1916! But his nightmare has only just begun: how does he explain his presence, and the appearance of a 60,000 pound supersonic fighter from a century in the future; how does he conceal it from possible German spies; and- most importantly for him: how does he return home to 2016 with the English girl he has reluctantly fallen in love with – without her aging 100 years! Around 2035, we'll know what the Face on Mars really is. Is humanity ready? THE HEALER is one possible scenario; and its consequences - when one man found out! 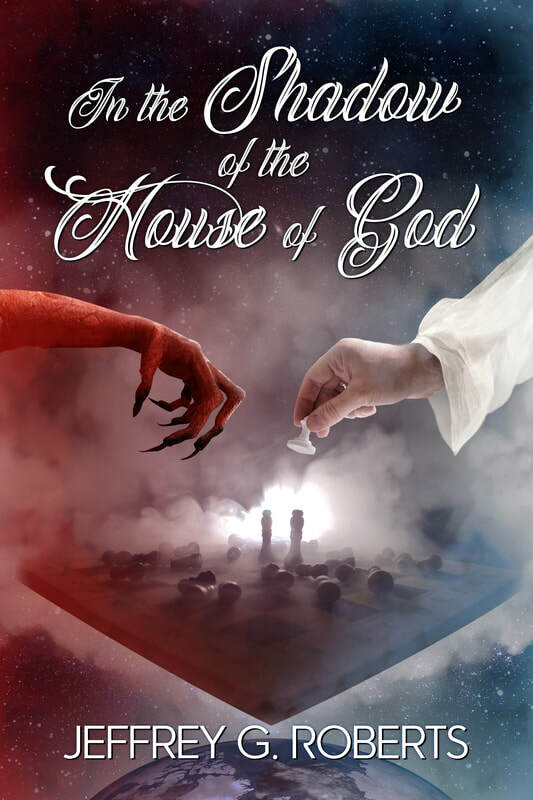 Readers of my website will want to watch for my next book - IN THE SHADOW OF THE HOUSE OF GOD. It's a surreal fantasy concerning a wager between the devil and God: "put a member of every religion on Earth, together in a titanic enclosed space of God's design", the devil says. "And in time - they'll kill each other!" Who will win and what are the apocalyptic stakes? Stay tuned! EVERY FEW YEARS A BOOK COMES ALONG THAT IS TRANSFORMATIVE IN ITS MESSAGE. THIS IS ONE! Jonathan Swift once wrote: “We have enough religions to hate each other, but not enough to love each other.” These are powerful words, particularly in these frightening times. With the world becoming increasingly filled with hatreds, terror, violence and intolerance, hope is needed now more than ever before. Hope for a new paradigm of understanding; hope for spiritual peace on Earth. IN THE SHADOW OF THE HOUSE OF GOD, by Jeffrey G. Roberts – author of “The Healer” and “Cherries in Winter” - embodies this very idea! Keep this in mind: the one thing that didn’t escape from Pandora’s Box – was hope.